Over 50 federal employees across four teams are working to develop data definitions and strategies for government that will promote transparency and effective uses of the vast stores of information federal agencies produce every day. According to federal Chief Information Officer Suzette Kent, that work will create the fuel and engine for future innovation. “We also reached out to agencies to ask for some of the best and brightest to be data fellows and actually work on development of the strategy, on definition of the incubator, to lead the various workstreams. More than 50 individuals from across the various agencies and some from outside government were part of that work,” Kent said at an Oct. 10 Data Foundation event. 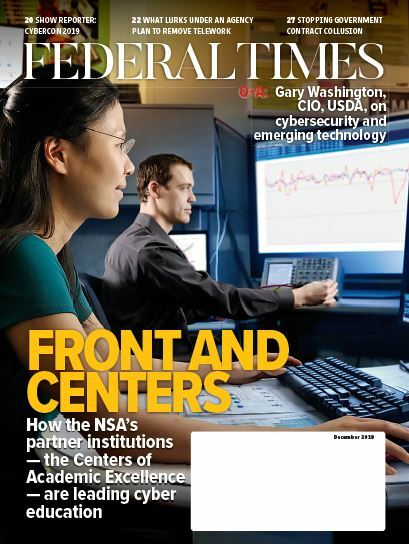 Agencies have shown little increase in the use of data to improve management decisions over the past two decades, according to a Government Accountability Office report. Those four groups were then made responsible for accomplishing three tasks, some of which have already been completed. The first task was to define the guiding principles of federal data usage, which are scheduled to be posted sometime in October on strategy.data.gov. Also starting October 2018, the teams then have to draft best practices for data usage across agencies, which would then go out for public comment and are scheduled to be finally released as part of the Federal Data Strategy in January 2019. Finally, the teams have to develop incubator use cases that prove the data strategies work as advertised. That work culminates in a Data Incubator Playbook scheduled to be finished in April 2019.